Classical 91.5 Presents, a series that spotlights classical music connections in film, presents this 1949 Technicolor musical film. Join WXXI at the Little Theatre on Saturday, September 29 at 3 p.m. for a special screening of On The Town. 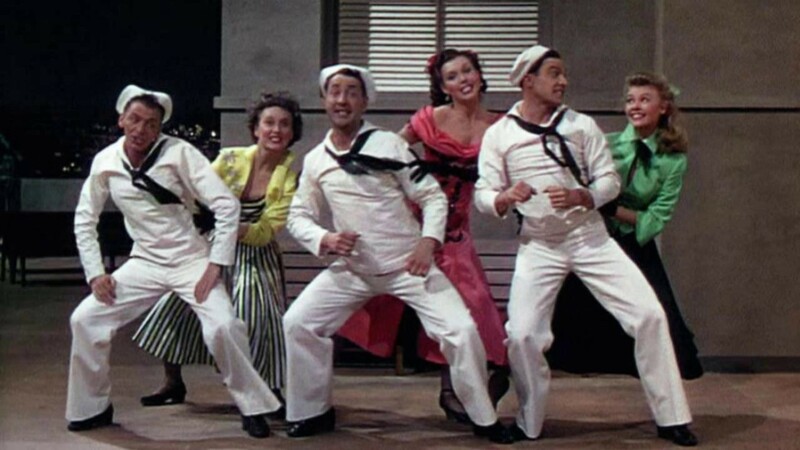 Fun-loving sailors Gabey (Gene Kelly), Chip (Frank Sinatra) and Ozzie (Jules Munshin) have 24 hours of shore leave in New York City, and they want to make every second count. While Chip hooks up with loudmouth cab driver Brunhilde (Betty Garrett) and Ozzie swoons for prim anthropologist Claire (Ann Miller), Gabey falls in love with an actress he sees in an advertisement, Ivy Smith (Vera-Ellen). Leonard Bernstein provides the music with lyrics by Betty Comden and Adolph Green. Come early for live music in the café beforehand with the Empire Film Music Ensemble at 2 p.m. and stay after the film for a lively panel discussion hosted by WXXI Music Director Julia Figueras. The final screening in the series: Immortal Beloved (December 1).